The book, Women at the Center: Life in a Modern Matriarchy (2002), focuses on a complex of customs called adat matriarchaat. These customs include matrilineal descent and women’ s ceremonial roles. Adat matriarchaat is part of the pre-Islamic cultural tradition called adat Minangkabau. Because of the degree to which the Minangkabau tie adat to Islam in the modern period, I was challenged to explain how the supposedly patriarchal Islam came to be bound to a social system identified as matriarchal. The book went to press in 2001 just as the post-Suharto era was loosening the stranglehold of the state on West Sumatra by granting local autonomy and the 9/11 disaster hit. 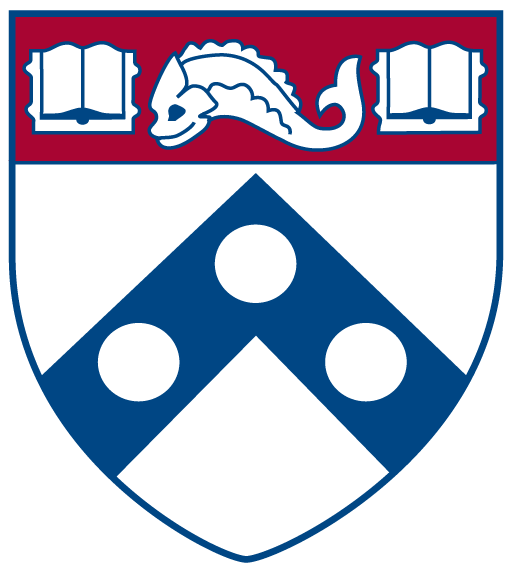 I had the opportunity to examine the impact of these seismic events on the adat-Islam relationship when I took the book to present to colleagues, friends, and family in July of 2002. The accompanying photograph taken this summer in the village, which was my home for many years, illustrates the interlocking of adat and Islam. The picture shows matrilineal longhouses built in the 1920s and ’30s on clan land. The houses face toward Mt Merapi, famous as the pre-Islamic site for the origin of the Minangkabau people. The axes of the houses point to a local hill on which famous spirits are believed to alight as they move from hill to hill in the adat village universe. 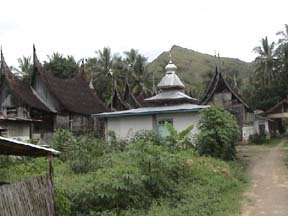 In the foreground there is an Islamic prayer house built after the return to the traditional adat village structure, part of the renewal of the adat-Islam relationship in the post-Suharto era. Traditionally, the prayer house was a place where older men taught Islam and adat to boys of the clan. It also functioned as an alternative residence for boys and men, an usage which accords with the adat ideal that boys and men live outside their mother’ s house so as not to compete for clan property with their sisters. The Minangkabau love to tell the story about how adat and Islam achieved an accommodation. The story often begins with a proverb: Adat came down; Islam came up. According to the story, adat originated in the interior mountainous heartland of Minangkabau culture long ago, some say before the time of Christ, and went down to the coast. Islam came much later, brought by traders to the coastal regions, sometime between the 14th and 16th centuries, and went up to the mountains. The two formed an alliance and achieved an accommodation in order to fight Islamism imported from Mecca by a few well-known Islamic officials seeking to purge Minangkabau culture of adat customs such as matrilineal descent. The struggle brought on the Padri war in the late l8th and early l9th centuries. The moderate wing won the struggle with the help of the Dutch. The accommodation involved the purging of some adat practices (like gambling) and the strengthening of others. Matrilineal descent, the linchpin of adat Minangkabau, was placed in the most sacred of adat categories on a par with Islam. In the book, I suggest that the joining of matriarchal adat and religion at the hip is a hedge against the decline of either. Backed by religion, adat is better able to withstand the global capitalist formations sweeping Indonesia. With solid roots in adat practice, religion is better able to withstand Islamist trends (at least in village life.) This conclusion was even more obvious in the post 9/11 period. The subject of Bin Laden came up a number of times during the summer. Everyone was adamant that the Islam they were taught prohibits violence and the use of force. We achieve our ends through negotiation and discussion, not through force, I was told. One man said that his Islamic education stressed the importance of thinking about others. The same idea was expressed to me in l981 by the foremost adat-religious leader in West Sumatra, Dt. Idrus Haikimy, now deceased. The talk about Bin Laden raised the subject of globalization. In the post 9/11 period there are two kinds of globalization Minangkabau intellectuals worry about: Western capitalism and anti-Western Islamism. As mentioned, the passion the Minangkabau pour into religion and adat acts as a defense against the destructive consequences of Western capitalism and guards against falling lockstep into a simplistic anti-Western Islamism. Urban professionals and intellectuals reject both forms of globalization as “a clash between two politicized universalisms.” They long for a more humane model of globalization for their country and the world based on cultural and spiritual rather than on political or economic values in the context of “democracy building and creating good governance.” This is a dream expressed by many of the peoples of the world regardless of religion. Peggy Reeves Sanday’s recently published book, Women at the Center: Life in a Modern Matriarchy, is based on long term ethnography spanning a period of 18 years (l981-1999) in the highlands of West Sumatra. More on the Minangkabau can be found on her webpage: www.sas.upenn.edu/~psanday.